Ukraine International Airlines increased flight frequency between Kiev and Minsk offering passengers to take advantage of double-daily non-stop scheduled service. 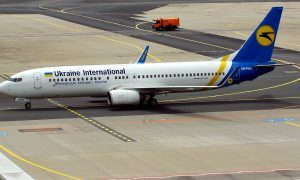 The UIA additional flights connecting Kiev and Minsk are operated on modern Boeing 737 and Embraer 190 aircraft with two cabin classes – Business Class and Economy Class. 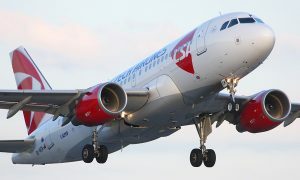 “Increasing frequency between Kiev and Minsk up to two daily flights, UIA aspires to respond to projected growth of passenger demand for scheduled service connecting the capitals of Ukraine and Belarus”, noted Evgeniya Satska, UIA Corporate Press Secretary. “UIA offers convenient flight schedule. So, passengers from the cities of Ukraine can quickly reach Minsk while our clients from Belarus are provided with an opportunity either to make a business trip and get back home within 24 hours or to take advantage of UIA well-developed route network and travel to one of 18 destinations in Western Europe, New York, Beijing, Bangkok, Tbilisi, Istanbul, Tel Aviv or Dubai”.